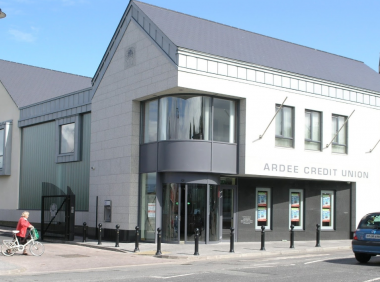 1.2 We are Ardee Credit Union Ltd, a credit union for the purposes of the Credit Union Act 1997. We are regulated by the Central Bank of Ireland. Market Street, Ardee, Co. Louth. 8.1 We process information about you in accordance with our Privacy Statement which is available on our web site. By using our website, you consent to such processing and you confirm that all data provided by you is accurate and up-to-date. Ardee Credit Union Ltd., Market Street, Ardee, Co. Louth. 17.2 The “Terms” means the terms and conditions set out in this document, and such other terms and conditions as may be added to or substituted for them from time to time pursuant to these Terms. “You” means the person accessing or using the website. Otherwise, “we” and any capitalised terms which are not defined in these Terms have the meaning given to them in the CU Online Terms which are available on our Web Site.